24 hours of PASS provided 24 back to back hours of free SQL Server Training. The event ran from Thursday 20 September 2012 until Friday 21 September 2012. There were some amazing sessions again http://www.sqlpass.org/24hours/fall2012/ . This event gave you a glimpse into the level of forthcoming technical content to be covered at the PASS Summit 2012. I was very interested in the session delivered by Denny Lee on the Introduction to Microsoft’s Big Data Platform and Hadoop Primer. He defined Big Data as 4V's volume, velocity, variability and variety utilising techniques and technologies that make handling big data at extreme scale economical. Big Data is allowing us to ask new sets of questions. He discussed Scale up and Scale out commoditized distribution. He moved onto discussing what is Hadoop explaining that a lot of data is machine generated these days and the data is loaded first then modelled after. The infrastructure allows automatic distribution and replication across nodes. 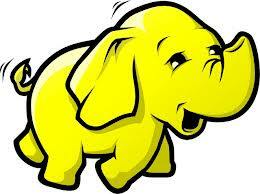 Hadoop was based on the Yahoo Nutch project in 2003 and renamed to Hadoop in 2005. A reference book to look at is Tom White's Hadoop: The Definitive Guide. To find out more about Microsoft's product https://www.hadooponazure.com/ .